The looming implementation of a series of amendments to Australia’s online gambling laws that will have the practical effect of barring all such gambling other than sports betting has claimed its first corporate victim, as popular English-language online-casino site Vera&John has notified its Aussie customers that their accounts will be closed before the end of the calendar year. The move by Vera&John, though not formally announced on the company’s site, is expected to be the first of many such departures by a slew of online-casino and poker providers. Such gaming activity has never been made expressly legal in Australia, despite some prior legislative attempts to do so. Instead, clarifications made within Australia’s Interactive Gambling Amendment Bill 2016 passed in November are poised to force dozens of European operators to step away from the Australian market. We’re always sorry to say goodbye, but the time has come. Due to a business decision, Vera&John will no longer be able to offer its services in your jurisdiction. Your account will officially be closed in one week. As of today, you will no longer be able to make deposits to your Vera&John account. Any funds which have not already been removed from your account can still be transferred to your preferred payment provider within the next week. The brief e-mail does not describe alternative withdrawal options for that remainder of customers who fail to withdraw their balances themselves by years end. Such situations often require manual assistance via a site’s customer-service channels. It’s also worth noting that the Vera&John home site has already deactivated its dedicated page for Aussie customers, with those links now automatically redirecting to the site’s top-level home page. 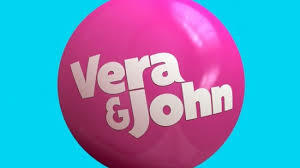 Vera&John is based in Malta, and is owned and operated by Dumarca Gaming Ltd. Dumarca, in turn, is owned by Canada-based Intertain Group, which acquired Vera&John in an €89.1 million deal in early 2015. The site and two related social-gaming brands cater to about a dozen countries, scattered around the globe. As mentioned, the Vera&John departure is likely to be the vanguard of an exodus from Australia by many such firms. The parent company of global online-poker market leader PokerStars, Amaya Gaming, already disclosed in its most recent quarterly financial-results conference that it was planning a similar move once Australia’s interactive-gambling amendments are officially enacted, with an effective legal date. 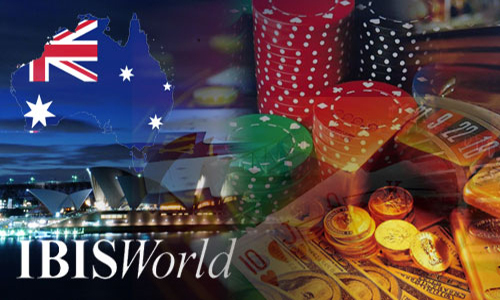 Most international sites serving the Aussie online-gambling market are likely to lose single-digit slices of their customer base in the coming months. What Australia’s pending crackdown won’t do, pending implementation of an online blacklist — a plan once enthusiastically put forth in the country by such anti-gambling activists as Sen. Nick Xenophon — is curtail the black-market sites also serving the country’s bettors. Many of those are based in other Pacific Rim countries or in a couple of notorious banana-republic jurisdictions, and they are far less likely to heed the official ban on Aussie-facing services. As always, such sites and jurisdictions remain caveat emptor (“Let the buyer beware”) gambling opportunities, with little recourse for consumers if things go awry. That such sites are technically still available for former Australian customers of Vera&John, or of other sites soon to exit the country, won’t be of much comfort.